Carvel is a franchise restaurant that is known for specializing in premium and fresh soft serve ice cream, hand-dipped ice cream, ice cream cakes and other novelty customized ice cream and cake products. Among these are the iconic Fudgie the Whale, Cookie Puss and Hug-Me Bear character ice cream cakes. It was founded by Tom Carvel in 1929, first as an ice cream truck and then later as a custard stand. The Carvel Corporation was formally established in 1934 and had its first franchise by 1947. Their headquarters are located in Farmington, Connecticut. The company, which has over 400 locations and 1,000 employees, boasts of many recognitions including being a franchising pioneer in America. It is generally known as having pioneered the soft serve ice cream as well as the circular ice cream sandwich called the Flying Saucer. For its employees, the company encourages work/life balance and provides benefits packages, 401(k) retirement savings plans, flexible hours, employee discounts, healthcare and life insurance, paid time off and vacation days. People like working for this company because the service and product they provide is fun and nostalgic. They also love that they get to learn and to do fun activities such cake decorating. Employees note a fun and easy going work environment which is a good starting off point for younger job hunters. Anyone interested in applying for a fulltime or part-time position at the company headquarters or its franchise locations needs to be at least 16 years old. Entry-level employment available at the company is usually for internship positions. Other opportunities include franchise operation and digital content management support. Research and Development Intern: A research and development intern will be supervised by an Intern Manager in doing support and administrative work at his/her assigned department. Completion of internship also includes the execution of a special project that will be presented to the assigned team or department. Public Relations Intern: Public relations interns should participate in special projects and provide administrative support for everyday business activities and needs. They prepare and maintain materials, presentations, spreadsheets and documents, as well as assisting in group or department projects. Creative/Design Intern: A design or creative intern works with the creative department to provide support for day-to-day needs and certain special projects. They must have strong written and communications skills and be able to turn in time-sensitive work with minimal supervision. Customer Service Representative: He/she is tasked with interacting with guests or customers at store and franchise locations. A customer service representative should be able to offer information about any product, as well as process orders to offer good and quality customer experience. Cake Decorator: A cake decorator will be trained to create the various new and iconic ice cream cake designs which are made fresh every day. They would be expected to utilize decorating tools to produce quality products, as well as monitor and maintain the inventory. Server: The server takes orders and processes them for the customers in a timely and organized manner. They operate the freezer, serve ice cream, cakes, sundaes, shakes and other treats to customers. They are also expected to keep workstations clean. Cashier: Cashiers are responsible for tracking customer orders and accepting payments. To make the shopping experience positive for customers, they should act in an organized and timely manner and provide the customers with efficient and friendly service. Grand Opening Coordinator: The grand opening coordinator provides support and guidance for franchise owners throughout the process of their new store opening. They should maintain detailed communication and contact to review equipment, materials, hiring and other training and managerial needs. Digital Content Specialist: This position is part of the digital team which provides central guidelines and manages content. Digital content specialists work with the creative team to develop brand strategies and communications and to ensure compliance and provide digital analytics. Social Media Manager: This position administers the brand’s social media and digital strategies to make sure customers are engaged and new guests are reached. Social media managers make sure to increase sales through raising brand awareness and generating traffic. They also should stay updated with trends, innovations and new platforms. Interested applicants for the company headquarters can go to the company’s website and navigate their careers page to see a list of available job openings. For employment at neighborhood franchise locations, applicants are advised to contact their local shop in person instead. 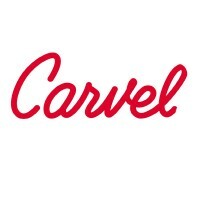 Carvel’s website redirects to Focus Brands, a private firm which owns various other food companies. Applying through the website requires a simple registration which can be done through LinkedIn, Facebook, Google+ or Yahoo. A great way to position your resume as a desirable choice when applying is to make sure to include a cover letter. Review and confirm if all the information you provided is correct and that there are no grammatical errors. Check and verify if listed achievements are recent and relevant to the position desired. When called in for an interview, prepare by reading up on the company’s profile and history so that you can anticipate possible questions. Arrive appropriately dressed up. Make sure to be on time and prepared to make a good impression. Listen well, answer confidently and don’t be afraid to ask your own questions or make clarifications. The work environment is professional and provides maximum training which drives employees’ potential and capacity. There are a lot of customer-facing interactions as well which hones communication skills, time management and responsibility. The company always tries to make innovations on their ice cream and cakes to ensure continual customer satisfaction. The ice cream company joined forces with Lotus Biscoff in 2017 to debut a cookie butter-inspired new flavor. In April 2018, they introduced a new Emoji Ice Cream Cup that can be personalized to match any mood or occasion. Known for their soft-serve ice cream, the company also teamed up with Oreo in 2016 to create new hand-scooped flavors and shakes. They also provided novelty treats such as the Lil’ Rounders ice cream sandwiches made with Oreo cookies. In an effort to show corporate responsibility to the community, they also support charity and fundraisers. In 2016 they hosted a disaster relief fundraiser for victims of Hurricane Matthew in Florida where they also donated $2,000 to The American Red Cross. They have also committed to only using cage free eggs by 2026. 1 How old do you have to be to work at Carvel?